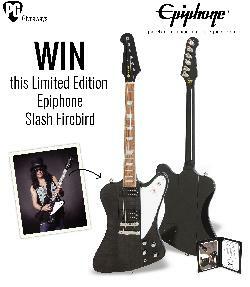 Prize: Win a Slash Firebird guitar *A note to potential International winners: If drawn from outside the United States, the winner is then responsible for all shipping, customs, and tax costs. Statistics: This contest was opened by 186 and entered by 17 ContestChest.com members. 9% of those who opened the contest, entered it.